With the leader board changing from Rider to Rider, both the Junior Ladies and Junior Men's events were at the highest standard ever seen. However it really was a very impressive day for German Riders in both Finals. The took four of the six medals available. In the Ladies event, having already taken 1st Place at RideFest 2012, today saw Julia Rick GER capture her ultimate victory in becoming the World Junior Cable Wakeboard Champion ahead of British Riders Chloe Goudie and Katie Bachelor. 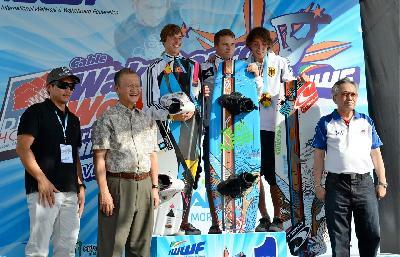 In the Junior Mens event, it was a clean sweep for Germany with their Riders taking all three medals. 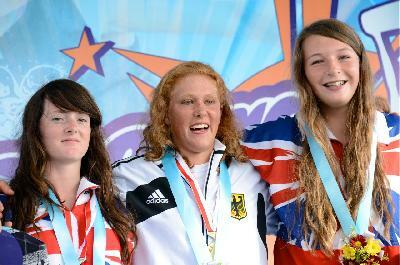 Seventeen year old Miles Toller is the current Cable Wakeboard European Champion. Today his superb performance added a World Champion's Gold Medal to his collection. Christopher Klein and Andre Botta took the other two places on the Podium as the day's events were concluded.